Summers are very hot so it is better to visit Doha in winters, which fall in the months of November to March. The average temperature during winters in the mornings and evenings are 12 degrees Celsius and in the afternoon the temperature reaches about 25 degree Celsius. I was there in February and the weather was perfect! Remember that in the month of Ramadan, most of the shopping complexes and commercial areas will be slow or shut for some time. So, it is better to avoid traveling during the month of Ramadan. You can check online for the month of Ramadan in the year you are planning to travel to Doha as it keeps changing every year depending on the Islamic calendar. Doha is well connected by air. I took flight QR162 by Qatar Airways from Copenhagen to Hamad International Airport in Doha. The seats were comfortable and the total travel time was about 6 hours. 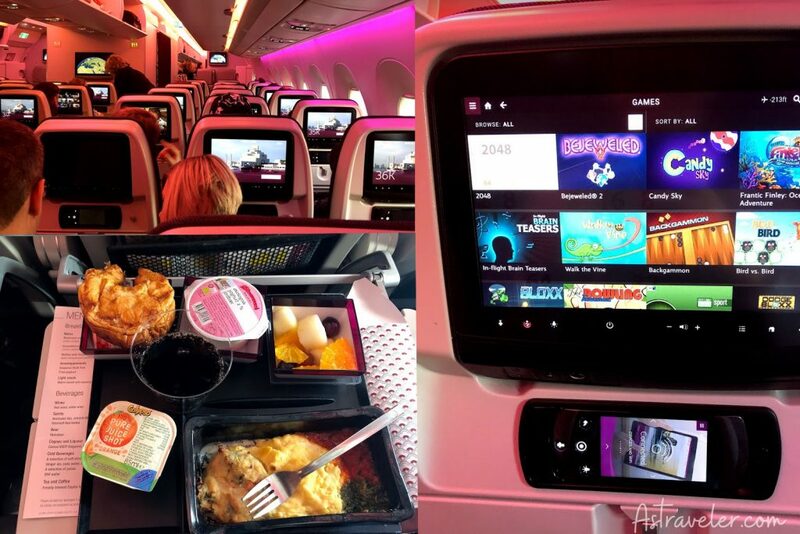 I would definitely recommend the QR162 as the crew members were friendly and professional. Qatar does not have a railway network and cannot be reached by waterways too. Moreover, Qatar’s only land border is also currently closed due to the blockade imposed by Saudi Arabia. So, the only mode of transport available is airways. 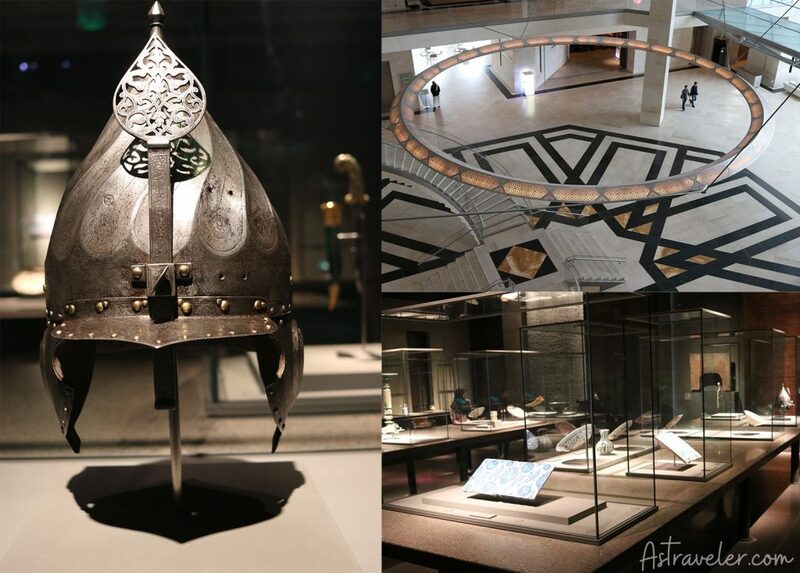 One of the best things to do in Doha is to visit the Museum of Islamic Art. Even if you do not enjoy visiting museums, but this one should not be missed at all! The building itself is spectacular and you would certainly be impressed with the innumerable sculptures, photographs, and artistic objects. Entrance to the museum is free of cost and the timings are 9am to 7pm every day except Fridays. On Fridays, the timings are 1:30pm to 7pm. You may opt for free guided tours that are available every Thursday and Saturday at 2pm in English and Arabic, depending on your choice. The entire tour would last for about 40 minutes. There is a wonderful gift shop in the premises of the museum, so you can purchase several souvenirs to take back home. The Pearl-Qatar in Doha is a beautiful artificial island, which is available for freehold ownership by foreign nationals. It is a 4-sqkms island that is divided into 12 districts. Each district consists of innumerable apartments, entertainment facilities, villas, restaurants, shopping complexes, townhouses, beaches, and much more. The amazing amenities and lifestyle privileges make ‘The Pearl’ one of the most desired residential complexes in Doha. Tourists are attracted to ‘The Pearl Doha’ because of its elegance, ambience, and dining facilities. There are dozens of restaurants and cafés that offer innumerable cuisines from across the globe. You can even shop at the luxurious complexes that have top-branded stuffs. 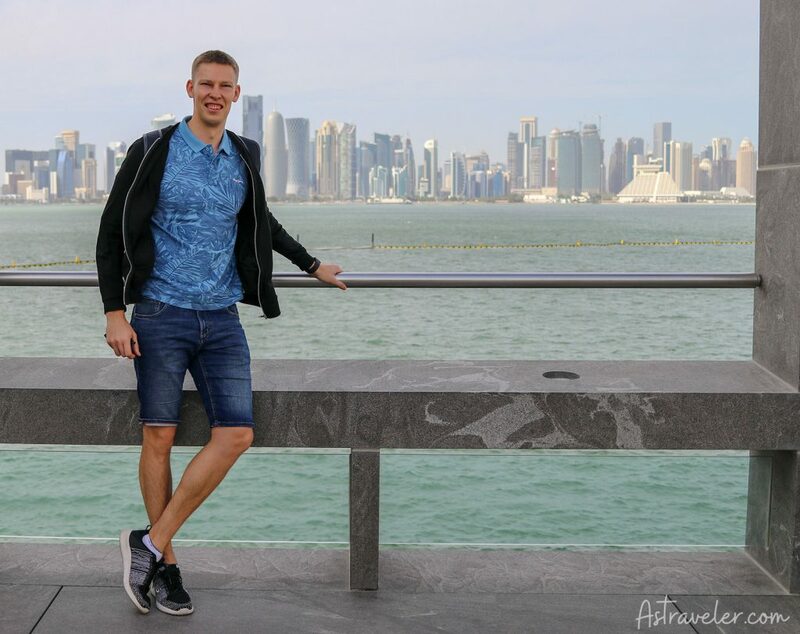 During your trip to Doha, you should not miss visiting the attractive waterfront promenade, which is popularly known as Doha Corniche. It is a 7kms long walkway that attracts innumerable tourists every year. There are several ways to enjoy your walk on the promenade, which totally depends on your visiting time. You can view the sunrise or sunset, relish fabulous seafood with the sea view, or simply fly a kite with your family. 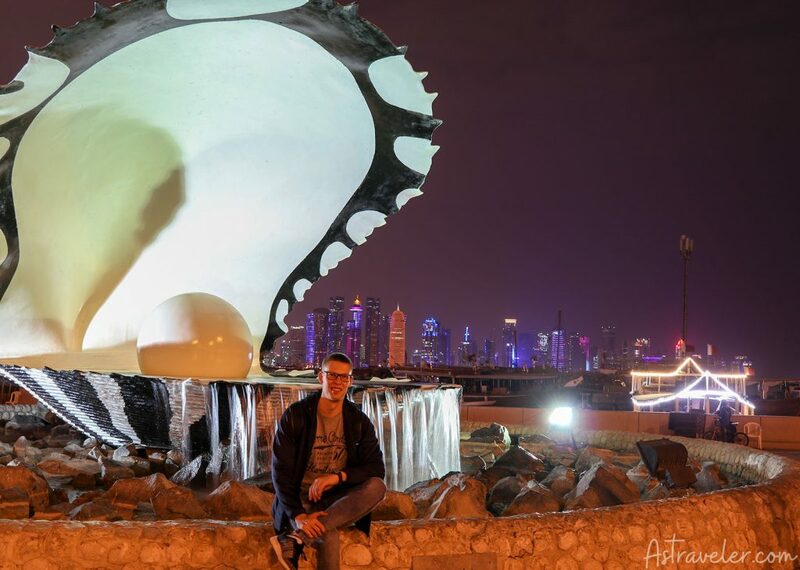 In short, you can have an enjoyable time with your loved ones at Doha Corniche. 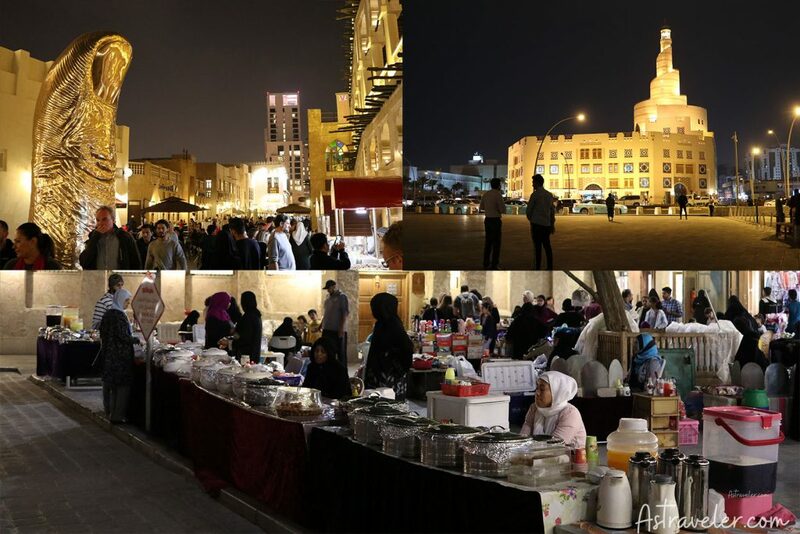 If shopping and exploring the culture of Doha is on your list then you should visit the Souq Waqif. 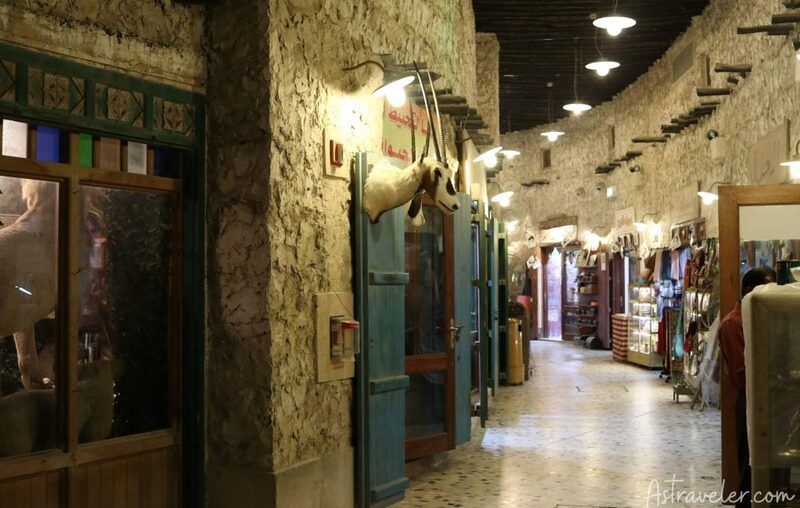 It is the finest place to shop and dine in a market area that highlights traditional Qatari architecture. 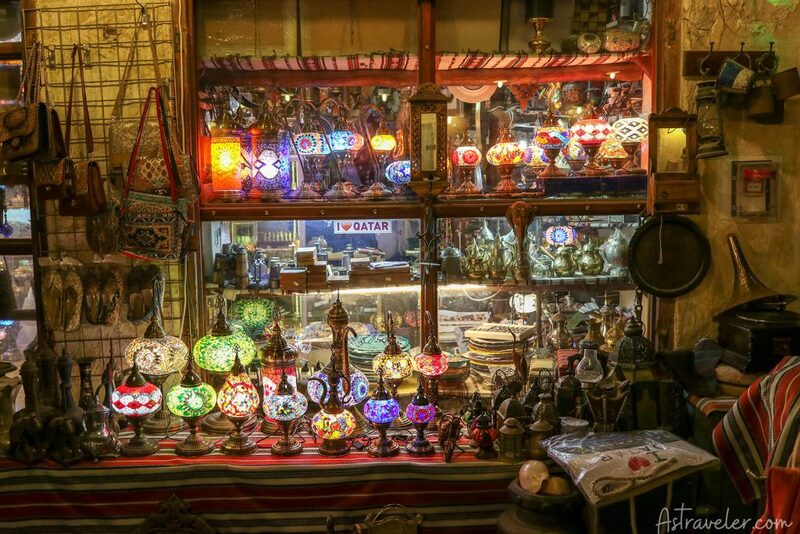 You will find the most authentic cafés and Arab shops out here. Some of the famous shopping attractions for tourists are spices, souvenirs, perfumes, and clothing. Most of the shops in the area are open from 10am to noon and then they re-open at 4pm till 10pm. Usually, travelers visit Souq Waqif by 10am and at noon, they spend their time in the restaurants that are open all day. You may even visit the nearby attractions like Museum of Islamic Art, Doha Corniche, and Qatar National Museum until the shops reopen at 4pm. 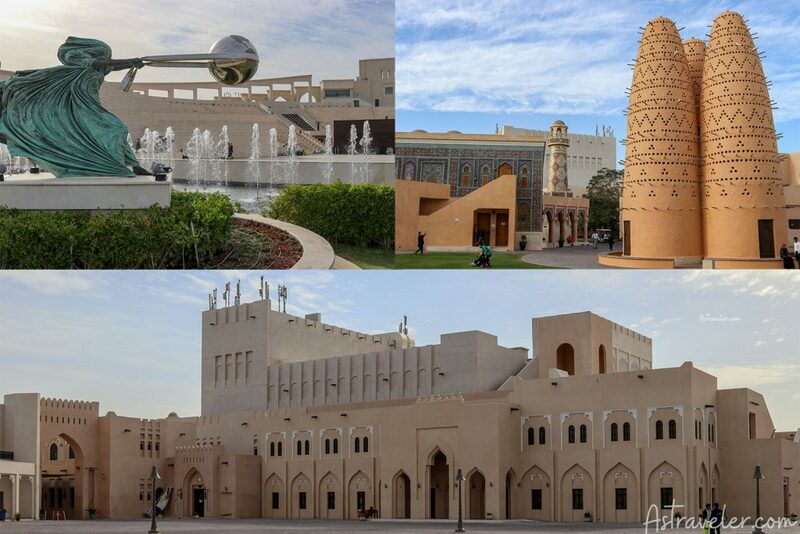 If you want to learn about the culture of Doha, then the best place to visit is the Katara Cultural Village. 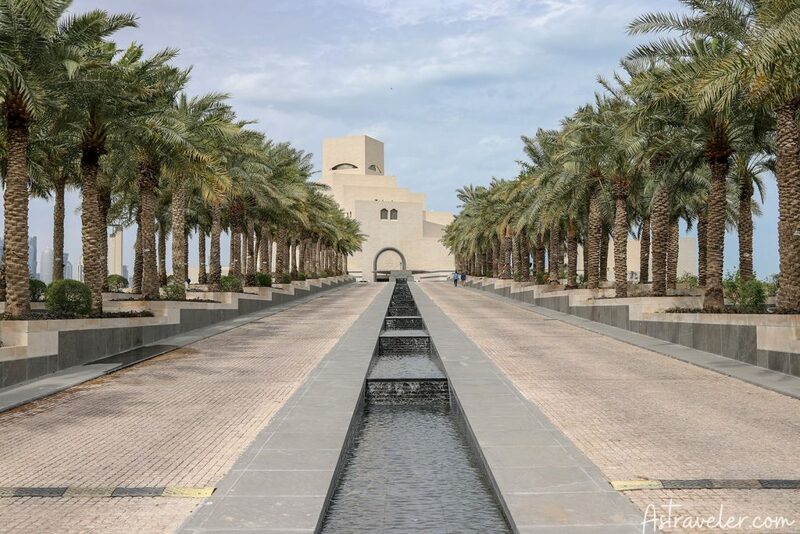 It is one of the top tourist destinations in Qatar as it holds several events and festivals throughout the year to present various cultural messages. The village is open 24/7, so you can visit Katara at any time of the day. However, there is so much to explore in the village that even if you allot an entire day, there will be numerous aspects that you would have missed. Once here, you will find several galleries, ATM machines, cafés, and toilets spread over the village area. Some of the finest international restaurants serve their unique delicacies to visitors. Katara’s private beach provides a relaxing experience with amazing beach activities like knee boarding, boat riding, water skiing, and parasailing. Kids enjoy spending their time at the planetarium that features a 22-meter screen with digital projectors. If you are traveling with kids, then you should add Aspire Park to your must-visit list. Locals as well as tourists can spend an entire day in the park by enjoying the various facilities that are available. Situated within Doha’s Aspire Zone; the park has smooth paths where kids can bike, scoot, and skate safely. Playgrounds, lake, running tracks, cafés, and huge open spaces make Aspire Zone one of the finest things to do in Doha. The entrance fee to the zone is free and the visiting hours are 7 am to 11pm. As the pathways are smooth, the park is accessible to wheelchairs. However, pets, swimming in the lake, open fires, and cooking are not permitted inside the Zone. Located in the West Bay Lagoon; Katara Beach is a clean and safe family beach where you could spend an entire day having fun with your loved ones. Earlier, you had to shell out a good amount of money as entrance charges. For adults, the charges were QR100 and for children you had to pay QR50. Since 3rd May 2018, the entrance to Katara Beach is free for all. Tourists and residents prefer visiting Katara Beach as it provides various facilities. The beach opens at 9am and visitors usually arrive by that time as afternoon gets hot and humid. There is a dedicated space for kids to enjoy as they can play on inflatable toys by purchasing a Day Pass from the counter at the entrance. It is a wonderful place to visit for spending some fun time with family. Moreover, there are several cafés that offer authentic delicacies for a good price. Remember that outside food is not allowed and women should avoid wearing bikinis or revealing swimsuits. 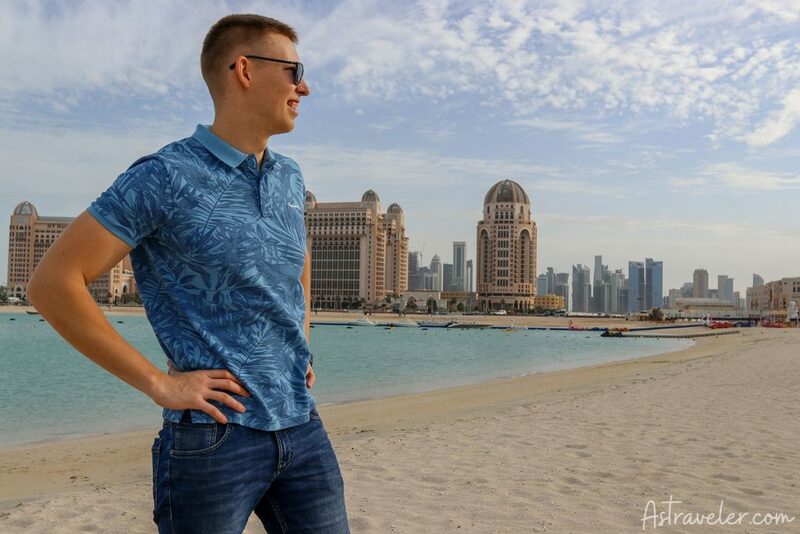 Moreover, there are several water sports activities that can be enjoyed in Katara Beach like banana rides, boat rides, kayaks, water skiing, wind surfing, and much more for a price. You can enquire about these activities at the main entrance. If you are planning to spend one full day at the beach then it is advisable to carry your own chairs and umbrellas to make the afternoon comfortable. The Al Rumaila Park is located close to the Corniche Bay and is well-known for its mesmerizing views and scenery. You can either walk or cycle through the park while viewing the amazing beauty of Arabian Gulf coast. Locals as well as tourists enjoy spending their evenings in the park with family and friends. Kids can have a wonderful time playing in the playground that has several rides to keep them occupied. You can even opt for a boat ride, ferry wheel ride, or any other thrilling rides that are available. Entry to the park is free for all and can be visited any time of the day as it is open 24/7. Located next to Sheraton Grand Doha Hotel, the Sheraton Park is a popular destination for families since it opened for public in May 2016. Kids have a wonderful time climbing the pyramid shaped artificial hill that is covered with soft grass and play in the large sandpits as well as swings. Adults can walk, cycle, or run on the paved pathways that are built around the park. Moreover, the pools and fountains are equally enjoyed by adults and kids. After spending a wonderful time in the park, you can relax on the large stone benches and admire the mesmerizing views of West Bay. It is advisable to visit the park before dusk so that you do not miss the scenic views. If you are searching for a budget hotel that provides 4-star facilities then you should choose the Victoria Hotel. Located in the heart of Doha, the hotel offers several amenities and services to suit individual needs. Your stay would certainly be a comfortable one in this pocket-friendly hotel. I stayed here and it was really a good option for the price! If you are planning to stay close to the Airport then you should book a room at Holiday Inn Doha – The Business Park. This 4-star hotel is 15-minutes drive from Hamad International Airport and in close proximity from several Doha attractions like Museum of Islamic Art and Souq Waqif. So, book a luxurious room at Holiday Inn Doha – The Business Park and explore the city with ease. To have a lavish and splendid stay in Doha, you should book a room at Four Seasons Hotel. The views from the window of your room will take your breath away as the hotel faces the Arabia Gulf private beach on one side and the skyline views on the other. The stylishly designed rooms and suites will make your stay comfortable and exciting. Some of the amazing amenities that you will get here are deep soaking tub, hair dryer, separate shower, and bathrobes, among others. The official taxis of Doha are pastel-blue colored and have meters. However, there aren’t many official taxis available and you may find several unofficial taxis that do not have meters. While hiring unofficial taxis, all you need to be concerned about is finalizing the fare before stepping in the cab. Also, remember that unofficial taxis would charge a bit more than official taxis and keep in mind that night taxi rides cost two times more than the day rides. If you need a taxi just wait while it goes near you, raise your hand and you are in! Meanwhile, you’ll be asked many times by unofficial drivers if you need a ride. Don’t go with them, especially with white limousine ones. They sometimes charge 2-3x and sometimes it’s not even a new car, so not worth it. Renting a car in Doha is easy as you just need to book online at one of the several car-rental websites. If you have planned your journey in advance then it is advisable to book your rental car about 7 weeks before your trip so that you get them at super-cheap prices. Some of the best car rental agencies in Doha are National, Avis, and Alamo among others. Ensure that you carry your driving license to drive rental cars. There are a fleet of hop-on-hop-off Doha Buses that provide services for 24 hours. However, their timing keeps changing, so you need to check their official website. These buses are the best way to explore Doha at an affordable price as they will take you to 21 iconic locations of the city. If you want to spend some time at a location, then you can simply hop-off and hop-in again at your convenience to reach another destination. The buses even provide a one-hour city tour facility, which is perfect for first-time visitors. Moreover, there are varied packages to select and explore the city entirely so check them out. Being an Islamic country, tourists often wonder whether it is safe to travel to Qatar. Well, it is perfectly safe, if you follow some general rules and use your common sense. Local women wear hijab in Doha, so it is necessary to dress modestly by keeping your shoulders and knees covered. Traveling alone at night is harmless, but it is better to travel in company especially if you are a women traveler. This is only because you may not find local women out of their homes at night, so you may draw attention. The temperature in the months of summers reaches about 50 degrees Celsius. So, it is advisable to carry plenty of water and a hat when you step out of the room. Don’t forget to use your favorite sunscreen lotion and wear light colored cotton clothing. You should respect the traditions, religions, and laws of the city. Ensure that you do not offend the locals and their religious beliefs in any manner. Drinking alcohol and being drunk in public is an offense. Some of the licensed hotels, bars, shops, and restaurants are permitted to sell alcohol. 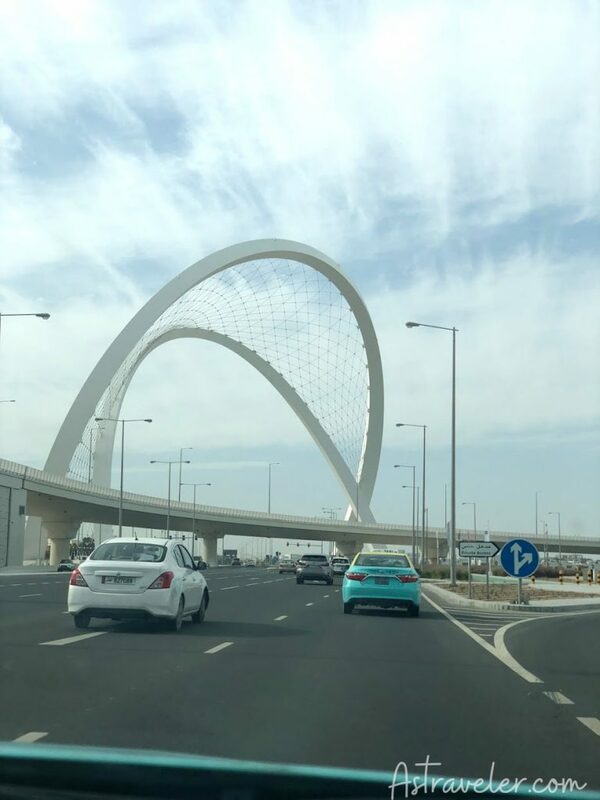 Although you may have your country’s driving license, if you want to rent a car in Doha for more than ten days, then ensure that you get a temporary driving license made by visiting the local driving school. The local markets sell amazing stuff and if you are planning to buy from them then ensure that you bargain too. You will notice that many sellers increase the price of products intentionally when a tourist visits their shop. So, you should learn the art of bargaining before visiting such markets. Also, carry enough money in local currency as well as in smaller denominations. There are several fairs and exhibitions held in Doha on a regular basis. You should enquire about them in advance and then plan your itinerary. These exhibitions are a perfect place to buy traditional hand-crafted items and attractive souvenirs. If you are a foodie then you should visit Doha in the mid of March as at that time you will be able to attend the popular Qatar International Food Festival. It is an 11-day festival that is held in Hotel Park. You can relish various cuisines, attend cookery classes by chefs, sample various dishes, and much more. The event is family-friendly as there are separate playing areas for children. For many, Doha has always been associated with oil and gas industries, but once you reach here, you will realize that there is much more! The friendly and helpful locals, scenic views, and beautiful skylines attract innumerable tourists each year. Despite being one of the hottest regions in the world, tourists visit Doha for its culture, beauty, and grandeur. 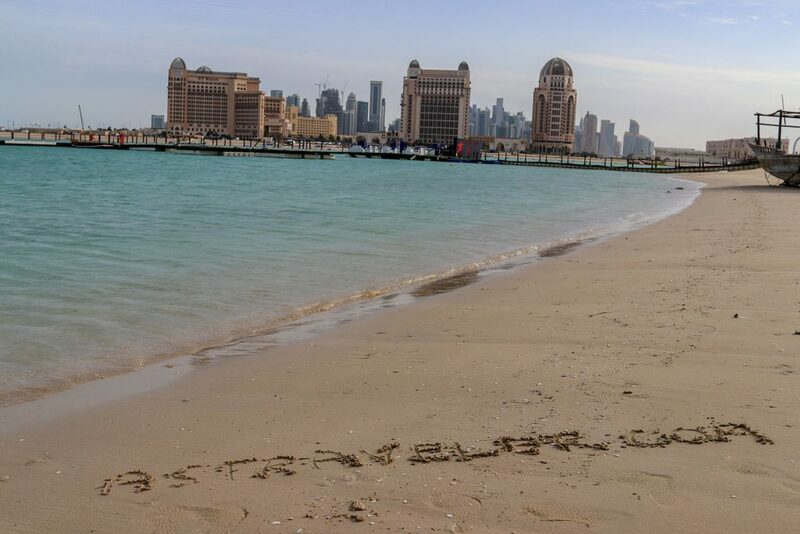 So, pack your bags and visit Doha to discover its soul! If you are also considering Abu Dhabi or Dubai, you can read both articles to compare and pick the best destination. Really wish to spend a day here!